Shoe4Africa started in November 1995 whilst the founder was in Kenya for almost seven months on a running trip. Returning to Stockholm, Sweden, shoes started to be collected and a ‘project’ was formed. It was named Shoe4Africa later on the last day of the millennium, on a rooftop in Zanzibar, Tanzania. In 2006 the entity became an officially registered Not-for-profit with a 501 (c)(3) ruling, in New York City; recognized by the UN as international NGO. Thank you to our team of 23 Half Marathoners who ran to raise funds for Shoe4Africa in the United NYC Half. We committed to building a new hospital for Kids with Cancer. 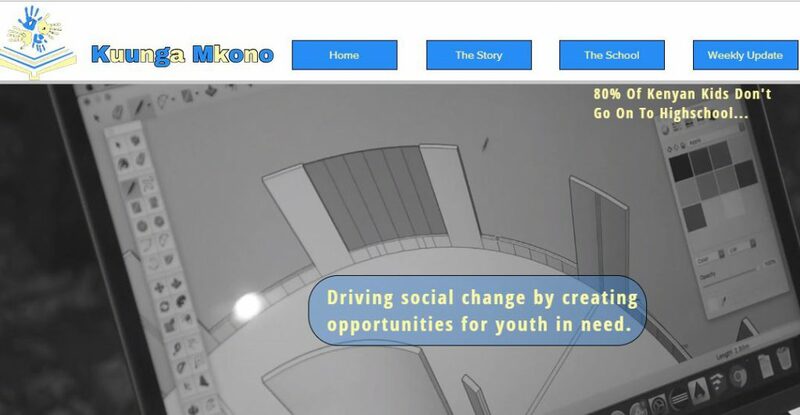 It will be the first of its kind in Sub Saharan Africa! It will directly affront the 9/10 kids who are dying when diagnosed with cancers in East Africa. To start work in January 2019… a brand new Astroturf 5-a-side football pitch will be built! Read more…. link The event coincided with the year end’s feeding fest! Starting new four year Scholarships, welcoming new names to our program; Lydia Akaran starting a four year secondary school. 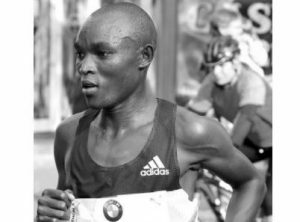 Ditto Josephat Kirui… Ditto Sheila Jelagat…. and also Fatuma Abdullah. Thanks to Caroline & Jason, Larry & Ingrid, Claudio, and Michelle & Mark — you are making dreams come true! 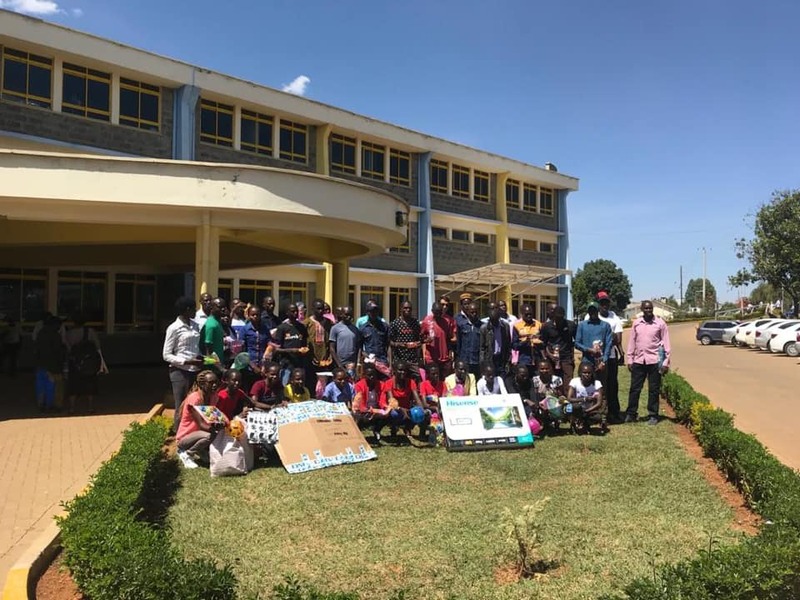 The 2 Running Club, led by directors Claudio Berradelli & Janeth Jepkosgei, brought 230 gifts, a flat screen TV, a decoder and many athletes from the team to come and greet the children and hand out gifts! Thank you! Drainage going down on our Basketball court this month. Very exciting to see this happen knowing the fun, joy and community it will bring to our hospital! Thanks to Dr. Sood and his visiting team who worked arduously in the Operating Theaters coming all the way from America to perform a long series of operations. 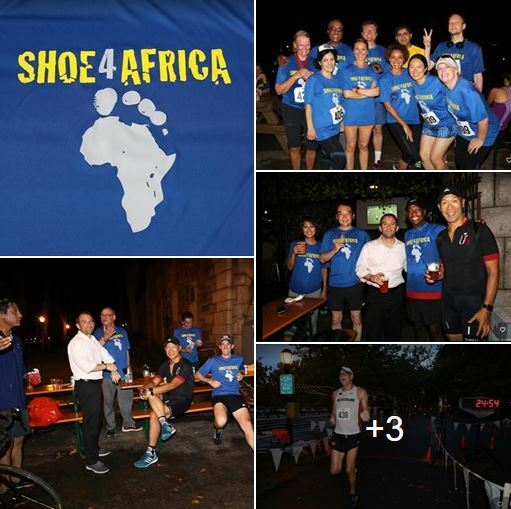 We had a fun Shoe4Africa 5k in Manhattan, NYC, on Sept 6th, and the following week Henry Melly organized another Shoe4Africa 5k in Moreno, California. 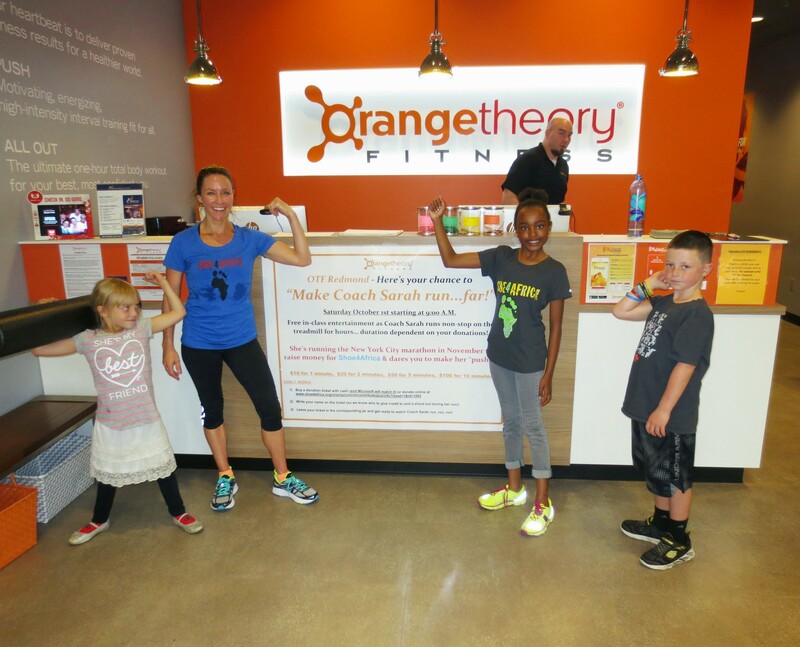 Great awareness events passing on the message of health and fitness; the same message we pass on in Kenya as a healthy community is a thriving community. We opened our 5th public school on Aug 10th to honor Mary Keitany, the women’s world record holder in the marathon distance. It is a much needed sec. school in an area where primary schools out number secondary 7:1. The occasion was graced by some of Kenya’s finest runners…. Read More. The 7th Annual Melina Buck Buffalo pub run! 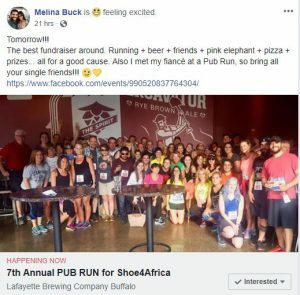 It is now an ‘institution’ event in Buffalo and Melina has been helping Shoe4Africa for years. In November she will run her 8th marathon for us in NYC, after racing Berlin in September (she is super speedy.. like a Kenyan!) We are ever grateful for the work she puts in and efforts. It was a Flip for Education and Shoe4Africa were recipients thanks to Team Endurathon. 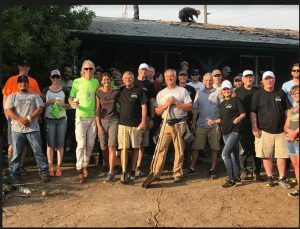 these great people did a complete renovation of a house in Denver to raise funds for four charities. We worked for 72-hrs, from 7 am till 6:30 pm for three straight days. We got covered in paint, dust, and dirt. A big bunch of people with skills and some of us (!) with none. And we got it done. Amazing – thanks to Doug Perry for leading the charge on this one with the Incredibles.. The Buy-Out Company of Denver! 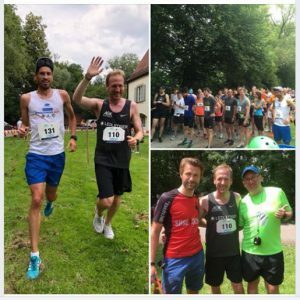 Shoe4Africa Germany held its 4th annual race in Munich on June 10th to raise vital funds for our projects. Last year’s race raised funds for a water fountain. Thanks to their team, and all runners who took part at the Castle! 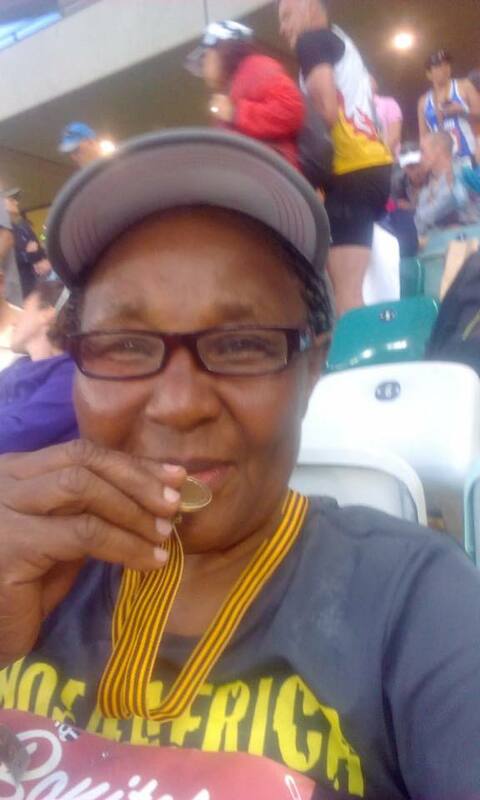 A marvelous achievement was seen on June 10th as the ‘Marathon Granny’, 64-yr old Joyce Nduku, completed the grueling 89-km (55.6-miles) Comrades run in South Africa to raise funds for the hospital. She was ably helped by a great team in Kenya, we are both humbled and inspired by this wonderful performance. She raised $3,500! The Marathon Granny finishes the Comrades (Ultra) Marathon. 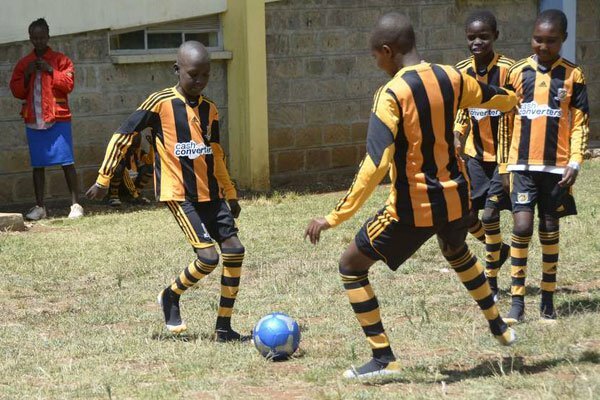 ‘Pitch In’ for Eldoret – thanks to Harrison Pire, Vincent Gioannini and Camillo Guarducci for launching the fund to bring a 5-a-side soccer pitch to the Shoe4Africa Hospital. This will be a great asset to the community and help get the sick kids more active to aid recovery. 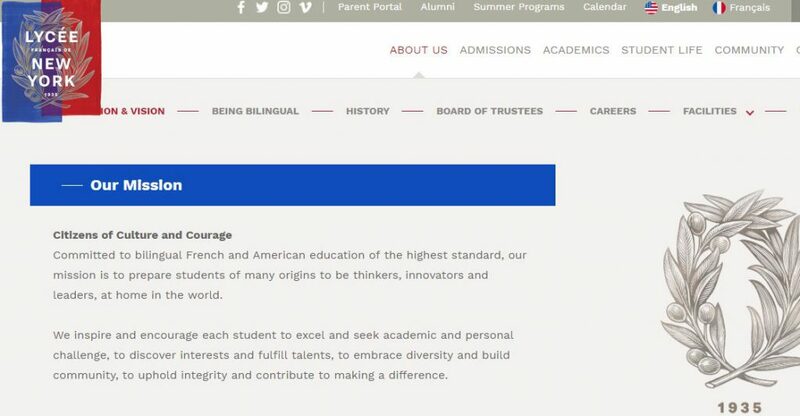 These kids attend the Lycée Français de New York school’s whose mission is: ‘To prepare students of many origins to be thinkers, innovators and leaders, at home in the world.’ Talk about Just Doing it! May 1st saw Joyce Nduku’s charity run in Nairobi. Hon. 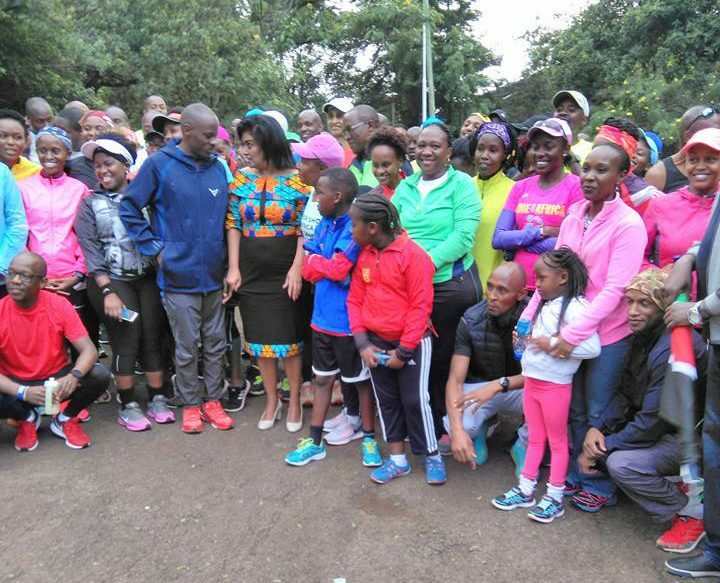 Esther Passaris, Nairobi County women representative flagged off the race with the former marathon world record holder, Patrick Makau. The Hon. Anthony Kiai, MP for Mukurweini, Nyeri County, also attended the run. Over 100,000 KSH was raised for the run with a sponsorship from Weetabix. This was the first event for the new ‘Shoe4Africa Nairobi’ chapter. We were delighted that Evans Chebet, one of the world’s best marathoners, chose to run for Shoe4Africa at the 2018 Boston Marathon. Evans, of Kapsabet, Kenya, has a heart to help. 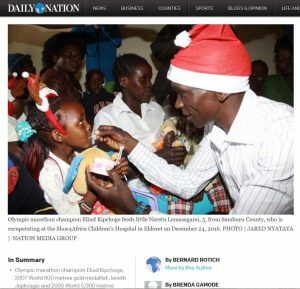 He was at our hospital last December handing out gifts to the Kenyan Kids. Our Third Annual Aces for Africa event. April 24th. Congratulations to Peter Worth and Juan Carlos Parker (PER) who defeated Lee Rubenstein and Fredrik Jonsson (SWE) in an amazing final. Thanks to board members Zeynep & Dave for organizing such a great event, and CityView NYC for hosting in their wonderful facility. Read our press release. Classrooms for the Hospitalized kids. In Israel it is becoming a norm that all kids hospitals must have learning school rooms. We believe we will be the first in Africa! We were delighted to break ground on March 9th on a brand new project. Partnering with the Harbour School we are building an amazing facility in the hospital grounds. Two classrooms for the sick kids that will help ensure they don’t fall behind with education when they are hospitalized. Some of our patients stay for months. As we are strong advocates for Health And Education we are so happy that Ashley, Christine, Dan, and Tisha visited the site to make this happen last summer. The dream has started with their support! And these are not just plain classrooms – watch out for an incredible center. Thanks to Shoe4Africa Belgium for providing donations of kids running shoes for the occasion! 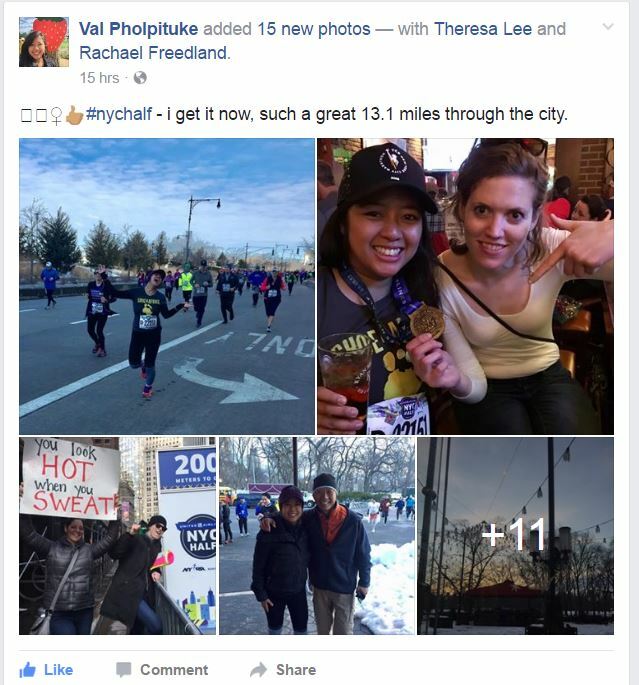 We had 28-runners in the #UnitedHalfNYC on March 18th. 28-heroes running for change in African health & education. Check out our /shoe4africa facebook albums for all photos, but here is one of our champs, Steve Caddle at Mile ten! We had a great visit from Bérengère et Patrick Motyl and the French School of Dubai. 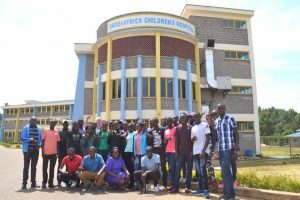 An amazing group of young kids who came with a great attitude, ran with the Kenyans, visited the Hospital and the Janeth Jepkosgei Shoe4Africa School bringing about twenty suitcases of supplies! These young superstars are tomorrow’s changemakers. Nothing fazed them, Kenyan food, gettign stuck in the mud, spending time with the sick kids and also the school kids. Kudos to Patrick for pulling this together. Africa Outreach Burundi! 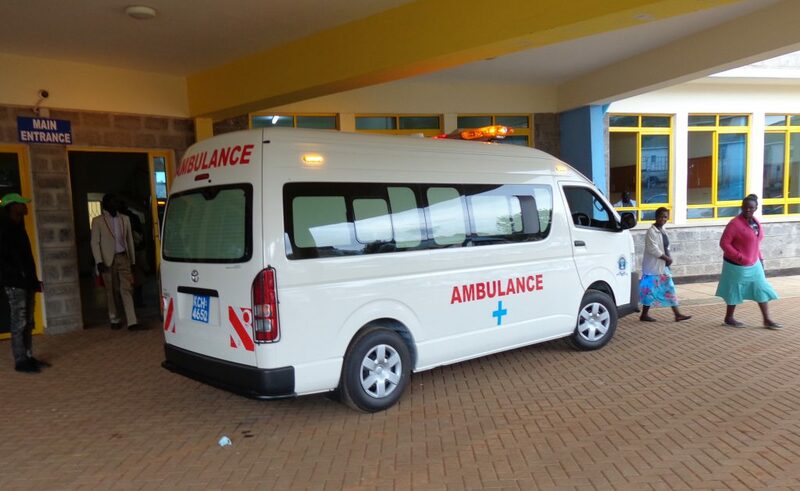 Due to the fact that we are the only Public Children’s Hospital in East & Central Africa means that we get patients from a huge catchment area. Those kids who do not wish (in their own countries) to go to hospitals that mix Adults & Kids (which can be incredibly emotionally damaging) are coming to us from afar. We already had kids from Southern Sudan, Tanzania, and Uganda, but please meet Mercy Ingarvenesa from Burundi! Mercy Ingarvenesa, our first patient who traveled to us from Burundi. 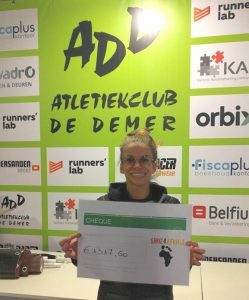 Thanks to Manuela Soccol and Frank Bollen, two super fast runners, we are seeing a Shoe4Africa Run in Belgium on Feb 7th, they are collecting shoes and raising funds too! Calvin Jepkogei had a tough month, losing her father, but she was uplifted when the day later she found out she got a four year scholarship to enroll in a secondary school in the district after she has now graduated from her junior years at our (free) school. 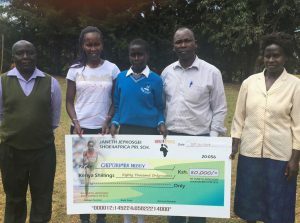 Thanks to Claudio Berardelli and his Italian team, and our ambassador Janeth Jepkosgei of the Janeth Jepkosgei Shoe4Africa School for helping her on her journey into the future. Janeth, far left, outside the school, with Miss Jepkoegi after she graduates from our school. 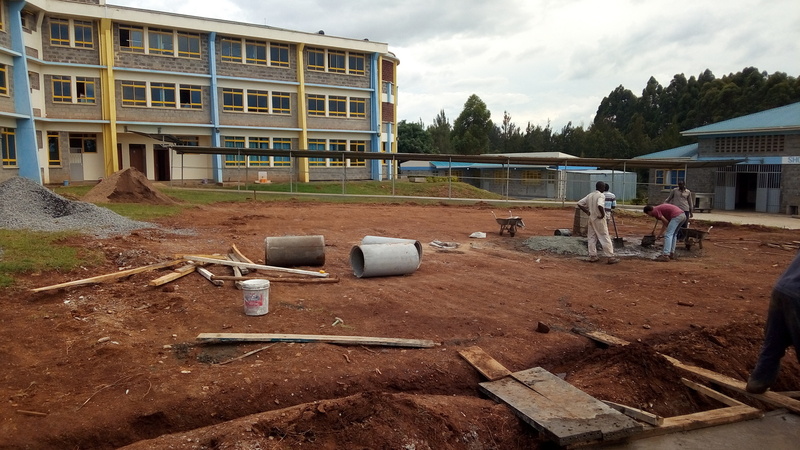 We started building the SHOE4AFRICA Mary Keitany Secondary School! We are building this to honor one of our ambassadors and a good friend for a decade, Mary Keitany. 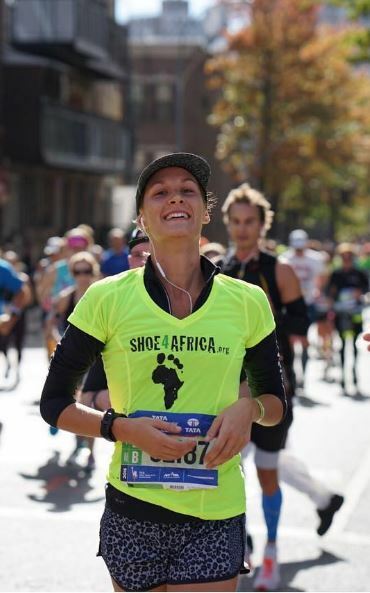 Since running a Shoe4Africa race back in 2006, her first senior event, she has gone on to win three London Marathons and three New York’s too… of course the odd world championships too! Let the school begin. 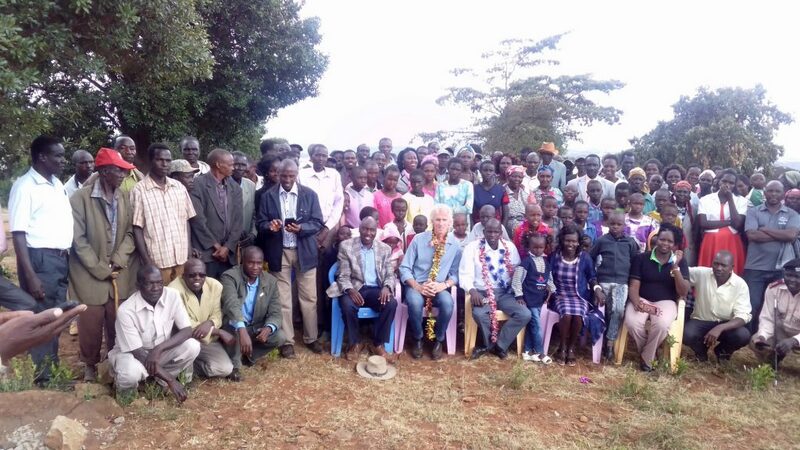 Celebrating laying the foundation stones in Baringo county for the Shoe4Africa Mary Keitany School. Mary and Charles, front row, purple dress seated. Alyssa and her boyfriend, Andrew Arnold, talk to the form four students at the Shoe4Africa Martin Lel School. Shocking that we missed it. Alex Boye, the renowned singer who is Africanizing Pop did a fund raiser for Team Perry Shoe4Africa earlier in this year!! Wow…. and again wow! Almost thirty world class athletes, including world champions, come to the hospital to meet the children and give gifts to our patients. (see full list of names here). On this day we had a staggering 281-patients. The visits continued as we had a Brass band from One Heart Foundation, Santa Claus from ChildLife, carols, and days of gift giving. 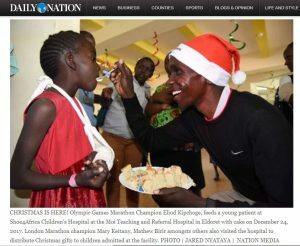 On December the 24th we had our 3rd annual Christmas Party with Hospital Ambassadors Eliud Kipchoge and Mary Keitany. We were joined by Olympic Gold medalist Matthew Birir, Olympic medalist Sally Kipyego, and elite runner Charles Koech giving out over 400 gifts! Almost 60 Shoe4Africa heroes took the roads to run the TCS NYC marathon on the traditional first Sunday in November. We had some great events – team breakfast run, we had at Pasta Party at the Wooly (in the Woolworth Tower Building), and a post race party at Michael’s fab Prince St apartment. Thanks to World Record holder and 4x world champ Lornah Kiplagat for coming along to inspire our team. In November our partnership with the Hong Kong Harbour school kicked off thanks to Ashley, Christine, Dan, and Tasha who came to Kenya this past summer to plan the project. The idea is to build a learning center at the rear of the hospital. So that hospitalized kids don’t fall further behind. An interesting note about the New York City Marathon: We had posted on the Internet about how three of the four elite invited Kenyans had a “Shoe4Africa connection – this Mary Keitany, the defending NYC champ, who had started out her senior running at a Shoe4Africa race, Edna Kiplagat who had run Shoe4Africa races for many years, Betsy Saina who had volunteered to help at Shoe4Africa races. However we did not know Aliphine Tuliamuk (who had recently gained a US citizenship)…. and yes, she too, back in 2006 ran in one of our Shoe4Africa races to Give girls/women a chance to run! (PS on the subject we should note that Wilson Kipsang, who was in the men’s field has also volunteered helping at our events, and his wife has run the women’s only races). 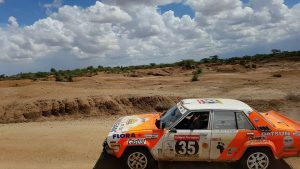 Harpal Sudle’s rally car, supporting Team Shoe4Africa, on its way to the Safari Rally! Being shipped from England to Mombasa! See our logo on the back door (Smiles)…. they would finish in a fantastic 15th place. 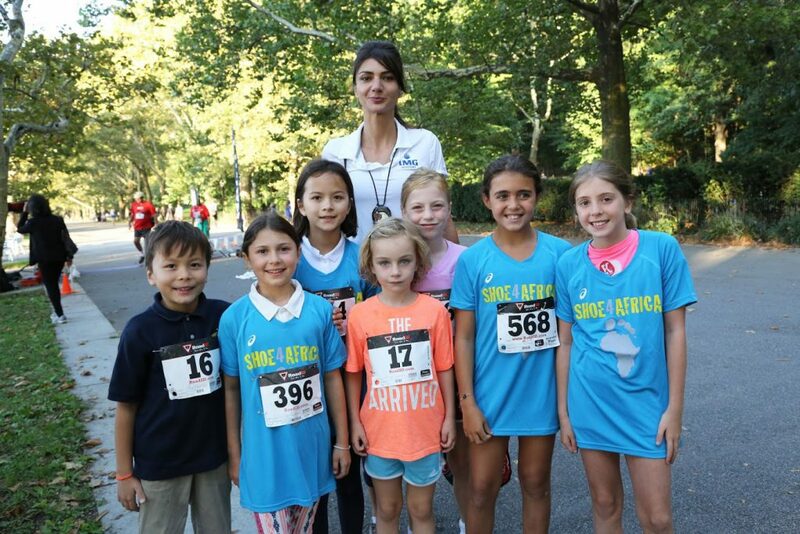 Some of the kids at the Shoe4Africa Kids mile at our 5th annual 5km in Manhattan on Sept. 7th. 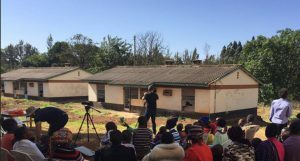 We had a great month opening more buildings (two) in the Hospital campus, getting some drone footage of the hospital (yeah), accepting a donation of new wheelchairs for the hospital, and furthermore starting a new project with our ace ambassador Mary Keitany! 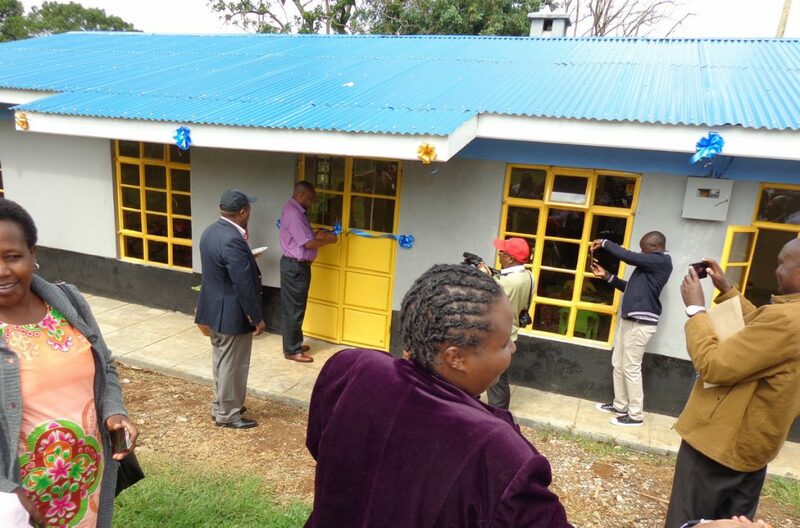 Dr Wilson Aruasa, board member of Shoe4Africa and CEO of MTRH, with Deputy Governor Chemno, open one of the two buildings in the grounds of Shoe4Africa. Check out the amazing DRONE camera footage showing the hospital filmed by John Elliott. Durch die Teilnahme finanzieren werden wichtige Hilfs-Projekte, die den Kindern des Shoe4Africa Krankenhauses zu Gute kommen und somit beiträgt, die Kindersterblichkeit in der Region nachhaltig zu reduzieren. We are proud to welcome a new partner – FEETYWEETY as they launch an exciting web-store onto the market that, we believe, will become the #1 place for everything about the feet. So it is fitting that we align and when you make a purchase (as I hope you will) you will be supporting the kids of East Africa and putting a smile on the faces of the little kids. Do check them out on the link here. thank you FEETWEETY for caring! The Second Annual Aces for Africa was a super success. 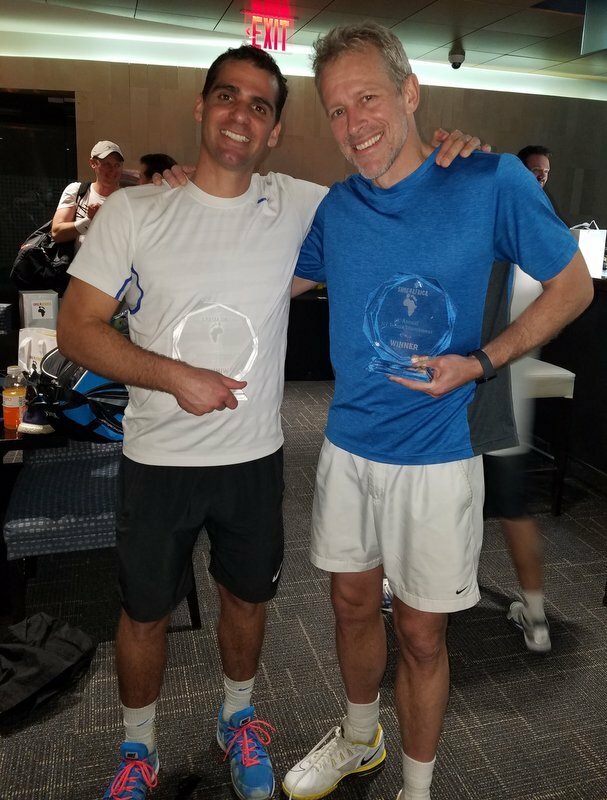 At the Second Annual Shoe4Africa ACES for AFRICA: Ron Sussman and Jonas Mouly, a former pro player from France took revenge winning the title after being he 2016 runners up, beating Steve Sussman and Robert Jendelund, a former pro player from Sweden. 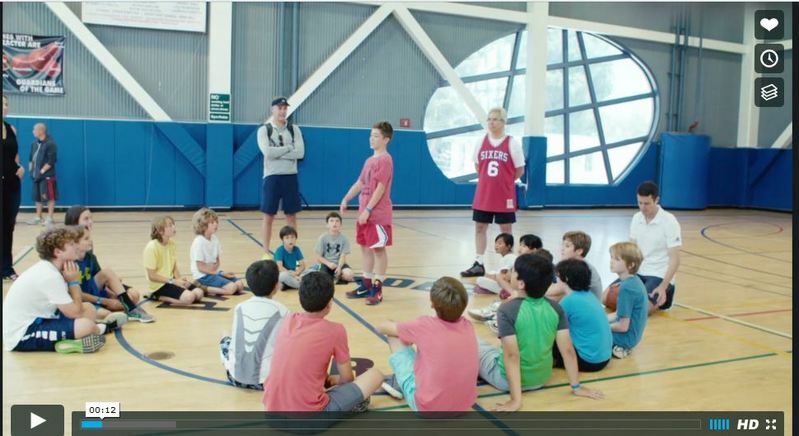 The event, the brainchild of Zeynep Inanli and Dave Siegel, was held at the City View Courts in NYC. Billie Jean King, a long time supporter of Shoe4Africa, again donated the Player of the Match awards; this year to Ron Sussman. Last year’s player of the match, Whitney Tilson, was knocked out in a tight semi-final as he and Harel Srugo, an Israeli Davis Cup team member, were defeated by the champions Sussman and Mouly. Global Brands Group CEO, former Davis Cup player, Bruce Rockowitz, came to spectate and hopes to play in the 2018 edition of Aces for Africa. 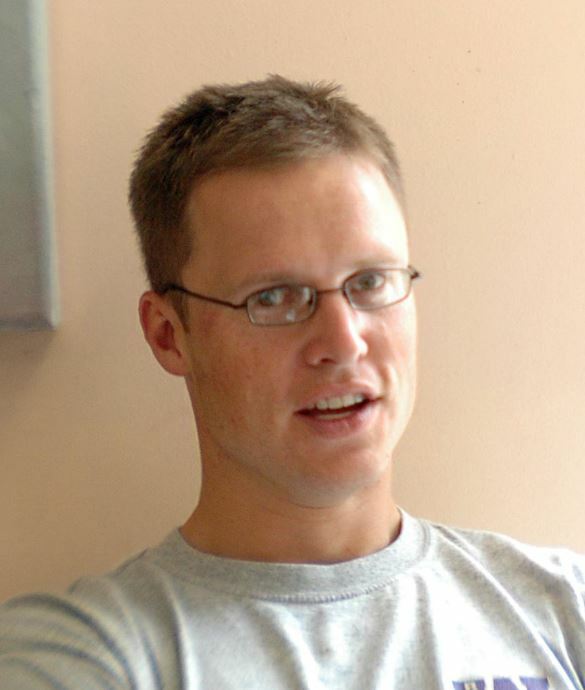 Swedish former pros Robert Jendelund, Fredrik Jonsson, and French former pro’s Julien Morel, and Mouly, along with Alex Lacroix, Dennis Druzhinsky were some of the top ranked players. Thanks to Kevin ‘Bling’ Thompson the Kids of the Shoe4Africa Children’s Hospital enjoyed a Photo day that we hope will turn into an annual event. 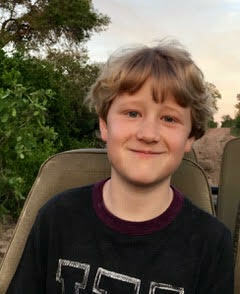 Kevin, a regular visitor to Kenya, brought a snappy camera and a laminating machine to take pictures of all kids to give them and parents a lifetime memory.. and the kids loved it! Thanks Kev! Kevin Thomson, left, laminates all the kids pictures with Pierrick Pints. Creating Opportunities: We were happy we were able to facilitate in a great opportunity for young Dorothy Kiplagat. Jenn & Wayne’s daughter Fleur has a new friend – check out the video! MILESTONE — we are now averaging treating over 300 patients a day at our hospital! 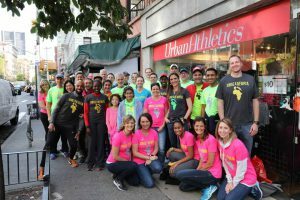 23 runners toed the line at the United NYC half to raise funds for Shoe4Africa- Claire, Clif, Tehilah, Susan, Alex, Debra, Arvind, Yumiko, Vicky, Lisa, Alexis, Coach Jon, Ambassador Lou of the Wooly, Dina, Valerie, Fernanda, Britney, David, Susan, Jessica and Sue – you are our heroes!! 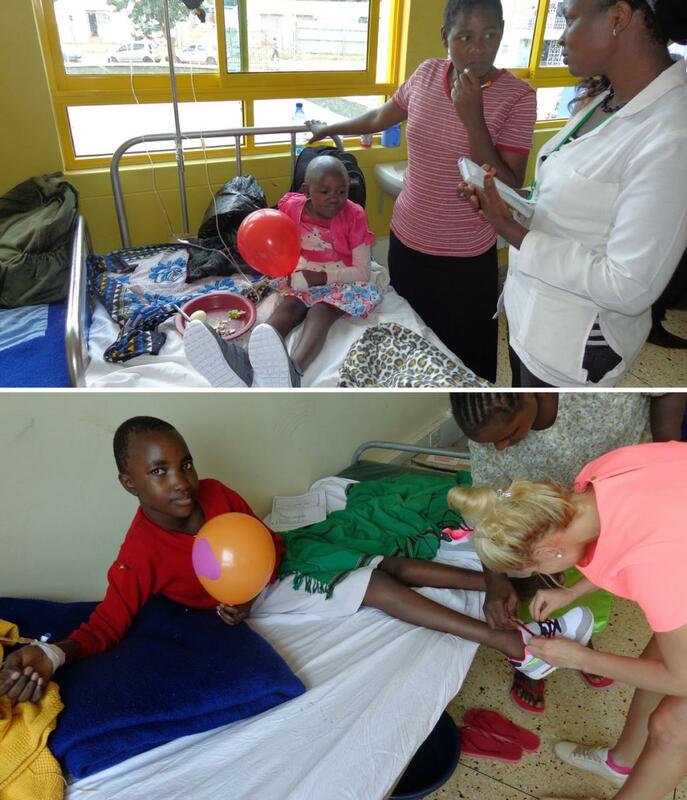 Shoe4Africa had a celebration day at the hospital when the kids got a big surprise as our friends and long time supporters Frank Bollen and Manuela Soccol brought over a big bag of shoes for most of our little patients! Teddy Bears came from Loredana, and Nasser Moosawi helped four families out with hardship grants! Dr. Neasa Coll also came to help, contribute and play with the kids! We had a great day. Manuela helps fit a little patient with shoes she and Frank brought from Belgium. 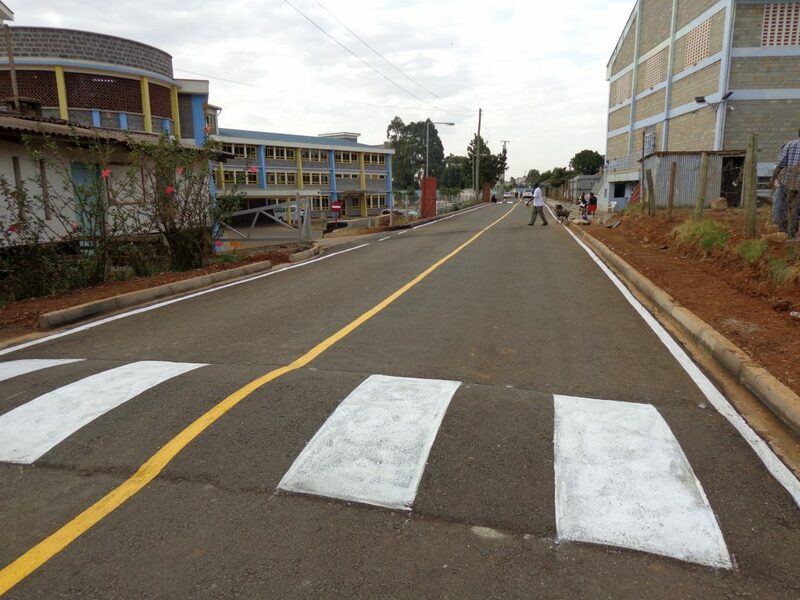 A new road is lain outside the hospital. Now both exits are tarmacked, instead of only the main one. Plus we have speed bumps! 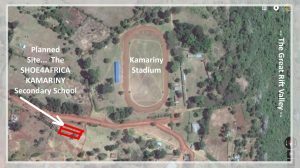 10th – The Shoe4Africa Kamariny Secondary School ground breaking consisted of dancing, spears, tribal rituals and lots of fun. 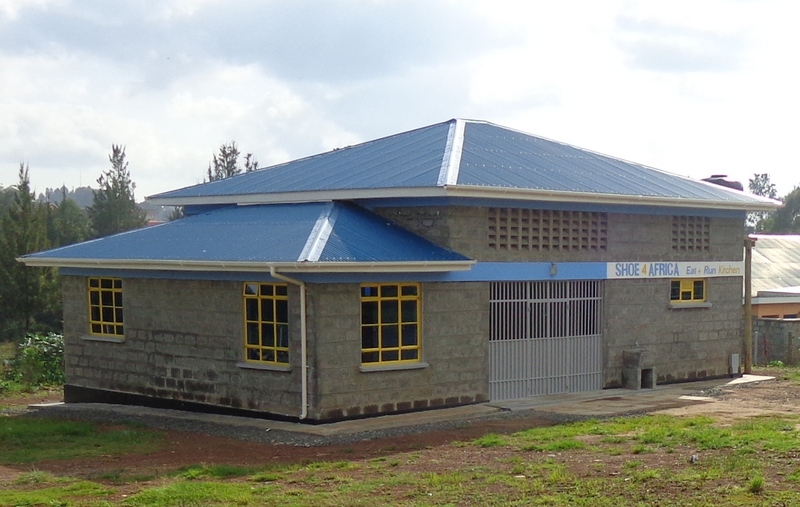 The fast growing town of Iten currently has one public mixed secondary school and it is way too over-crowded. 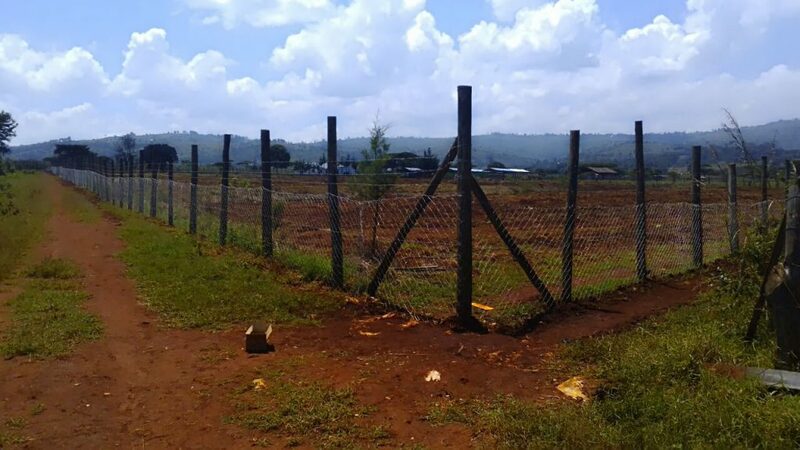 Right beside the world famous Kamariny Stadium we are building what we are sure will be the best school in the district! Here we are about to smash and knock down some old buildings… and from the dust we will build up, with the great support of Shoe4Africa Sweden, the Musical Therapy House. Plus we are entertaining the idea of doing the other building too for the Shoe4Africa Kids Playcenter! 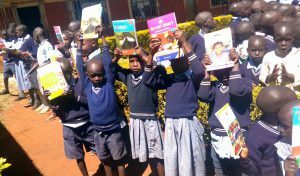 At the Shoe4Africa Janeth Jepkosgei we continued our trend of giving out books to the kids… especially as they have recently become the best public school in the area. Next up the school is building a computer room! Happy New Year and a huge thank you to everyone who supported us in 2016. We ended the year opening ‘Sig’s Walkway’. 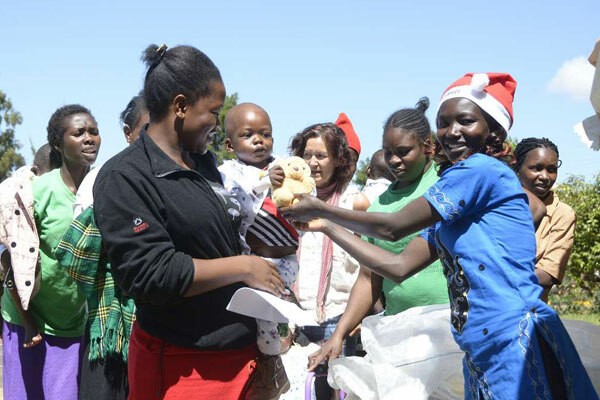 At Christmas of 2013 Siegfried Kohl came to Kenya. The following year he was diagnosed with Cancer. He passed in April of 2016 and wanted to leave something for the Shoe4Africa Children’s Hospital so we built this walkway, between the main hospital and the eat + run kitchens. Sig would have been smiling as all the patients and parents came out to end the year with a hearty meal kindly sponsored by Harish Menon who represented us in the TCS New York City Marathon this year. We held our second annual Christmas Party, again ‘starring’ our ambassador Eliud Kipchoge, the Olympic Gold Marathon Medalist, who was joined by World Champions Janeth Jepkosgei, Ben Limo,and Olympian Charlie Grice as over 150 gifts, toys, food, drinks, cakes and more were given out at our hospital on Christmas Eve! So grateful for our team at the TCS New York City Marathon who laced up their shoes to run to make change over in Kenya. 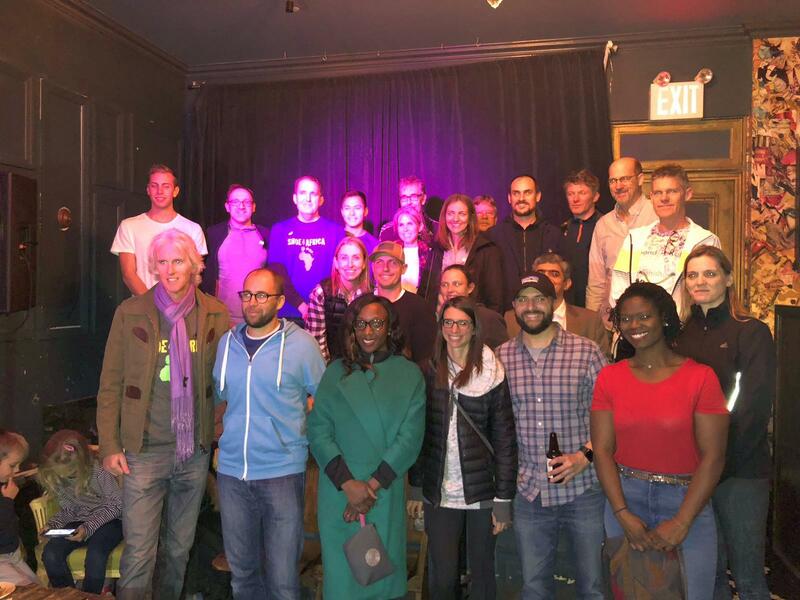 We had over 50-runners, wonderful stories… it has been an honor getting to know these fine people, meeting at our Breakfast Run (thanks Urban Athletics), at our Pasta Party (thanks Woolworth Tower Kitchen), on the race day, and at our Post race party (thanks Spiked Seltzer). Check out our album of heroes on facebook! On Oct. 21st and we hired another female contractor to support the gender equality drive in Kenya. Pictured right: Sig Kohl. RIP 2016. 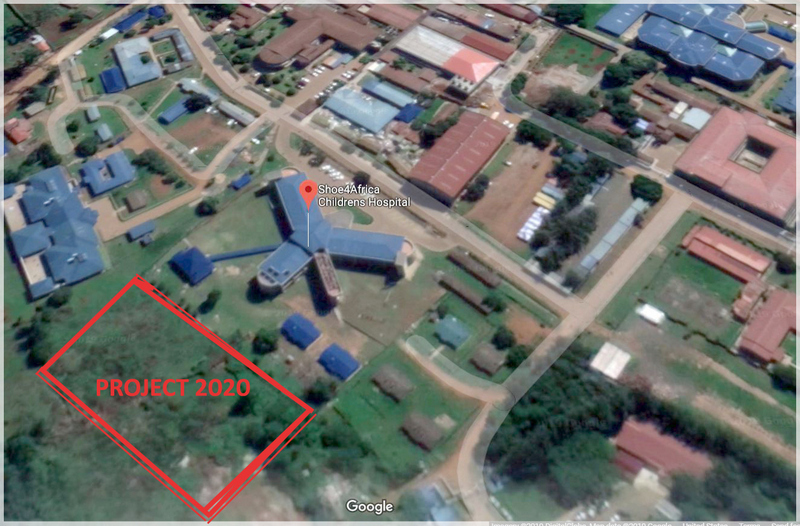 We have awarded the contract to start building the walkway that will run from the Shoe4Africa eat & run Kitchens to the main hospital. In line with our women’s empowerment program the contractor is a lady, plus the head administrator of the new kitchens is a lady too – we are always happy to be adding jobs to the community. On the 8th we held the New York City Shoe4Africa 5k in Riverside Park. We kicked off our Women’s Empowerment Dairy/Farm project on August 03rd, 2016. Many thanks to Michael Chambers and MCJ Amelior for their major (kind) support, and also to Don Favre. 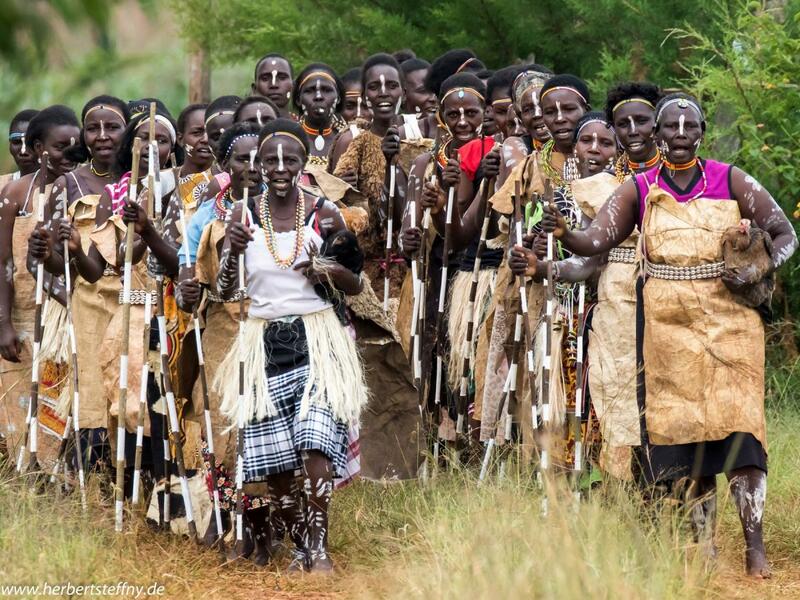 Thanks to the super organizer Chelimo who pulled together the 45-strong women’s group, and also to our visiting group of Germans led by Oliver ‘Marakwet‘ Hoffman and Herbert Steffny (who took the professional looking photos here and was also a world class runner). Thanks to Mike Wilesmith, who has fund raised for us in the past, for lining up to run the Guernsey Marathon! He’s already at the GBR 1200 mark. And he WON the race! 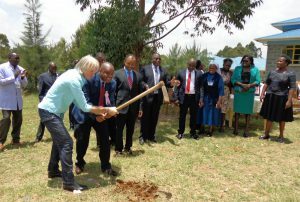 Welcoming the Shoe4Africa eat+run kitchens (opened July 21st 2016) at the Shoe4Africa Children’s Hospital in Eldoret with many thanks to GrandlSchule for helping making this happen. 35% of the Kids admitted to our hospital are coming afflicted with malnutrition problems. If we can address nutrition and give these kids a boost we are really helping them to heal. When a child is weak the medicines have a lesser effect. 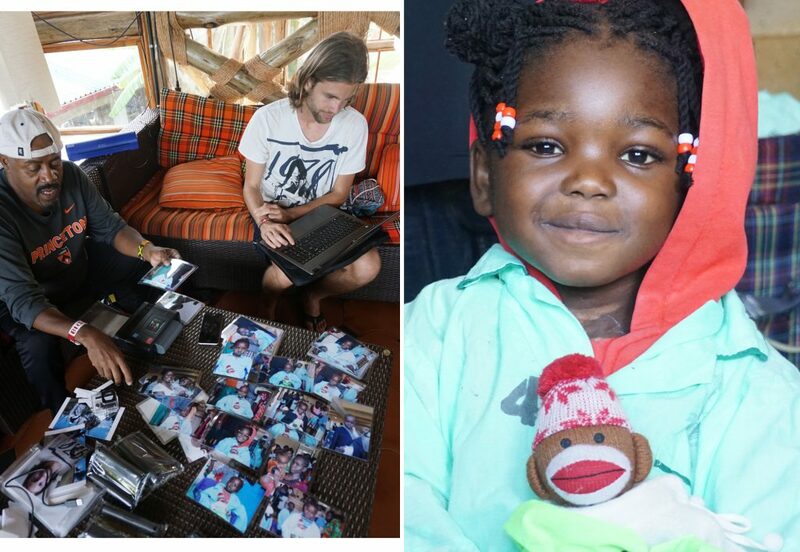 Michael Kugler came and ran for Shoe4Africa in 2013 and opened his heart to the cause, he started a German chapter. 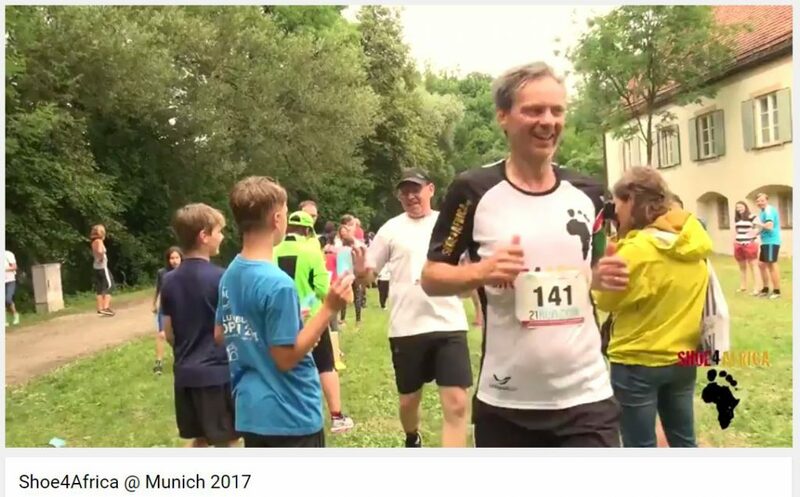 Along with his wife and Urban Bettag they powered along and partnered with a school from Munich, the Grandl, and held an event that saw the kids run to make change in Africa – Dankeshon. The superb new kitchens, you see here, are a great step forward for Kenya (which other hospital has showers and changing rooms for the staff members?). So we will see the change and we hope to start making a great positive change to the diets of the kids. Thanks to the CEO of the MTRH, Dr. Wilson Aruasa, and World Champion Ben Limo, for opening the building. We had a nice party with the kids from the Hospital who were our VIP’s. 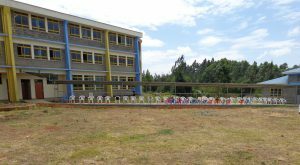 Noreen Ryckman, a 2nd grade teacher at Parkside Elementary, Tenino, WA does a Shoe4Africa -Kenya school project to teach the kids about the healthcare situation, Shoe4Africa, and Kenya. We asked her to work this into a package we can offer up to other schools to teach the ‘next’ generation. Alexander Sweeney holds a basketball fundraiser at Pacific Palisades district of Los Angeles to raise awareness and funds for us. 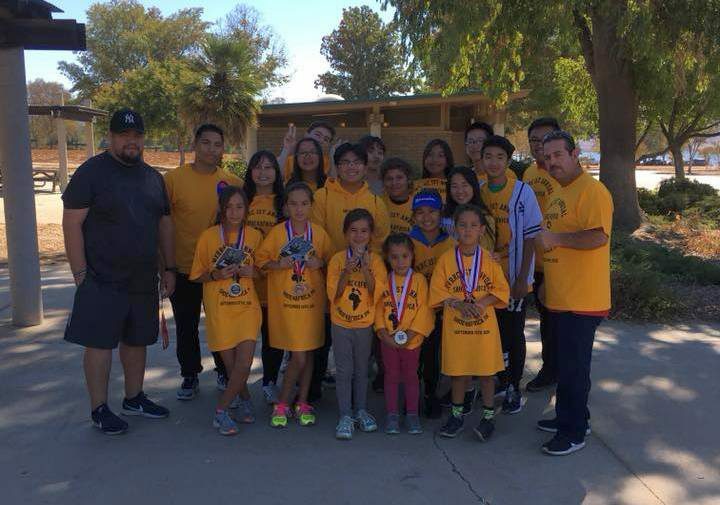 “Everyone had a good feeling inside as we were doing something to help others.” Sixty people came to the event and they raised $1,200 from school friends, the basket ball club, and parents. Our first ‘virtual’ race will be on June 19th! You choose the distance, you chose your start time, you choose your pace – we send you your race kit, Shoe4Africa T shirt, and your medal. This race is hosted by www.runningonthewall.com Check them out, and enter to make a difference in Africa. Thanks to Shoe4Africa Germany for hosting the 2nd Shoe4Africa Germany 5k in Munich. The race was won by Lornah Kiplagat who has been very involved in Shoe4Africa for many, many years. Full report coming soon. Thanks to Shoe4Africa Germany for hosting the 2nd Shoe4Africa Germany 5k in Munich. 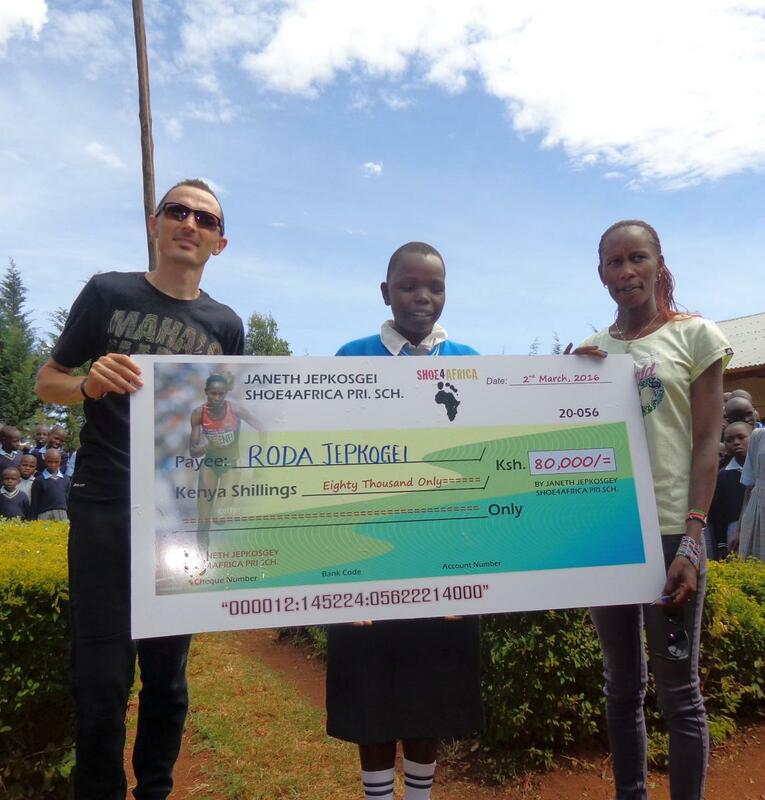 The race was won by World Champion Lornah Kiplagat who has been very involved in Shoe4Africa for many, many years. Full report coming soon. Aces for Africa was our first journey into the Tennis world. An indoor (sold out) tournament at CityView, NYC Tennis hall was the venue for this electric event. 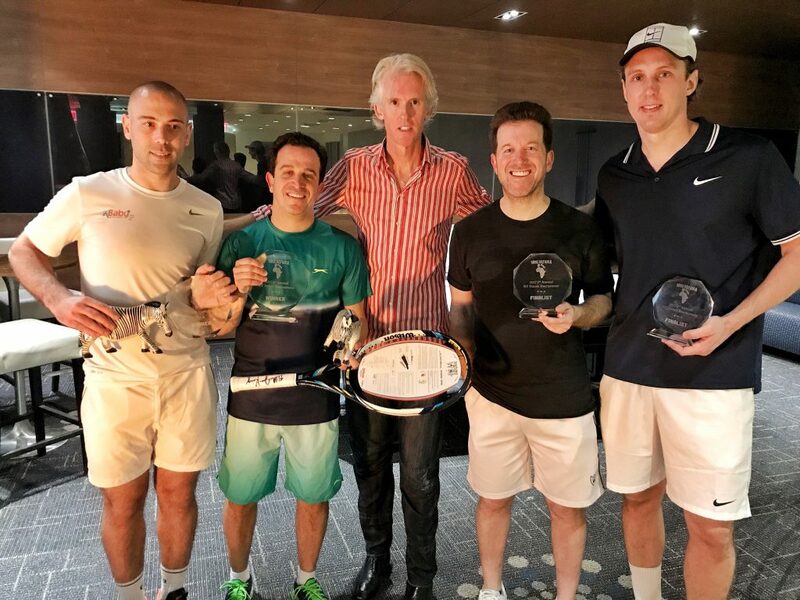 It was a nail bitter as Whitney Tilson & Harel Srugo defeated Ron Sussman & Jonas Mouly in a hard fought final. The standard of tennis, throughout the rounds, was unbelievable with many quality matches. Winners Harel Srugo, who has been on the Israeli Davis Cup team, and Whitney Tilson (who once trained three days before running his first marathon & attacks mud runs on a weekly basis) who upped their games to take the title. Billie Jean King was kind enough to donate some of the first place prizes. 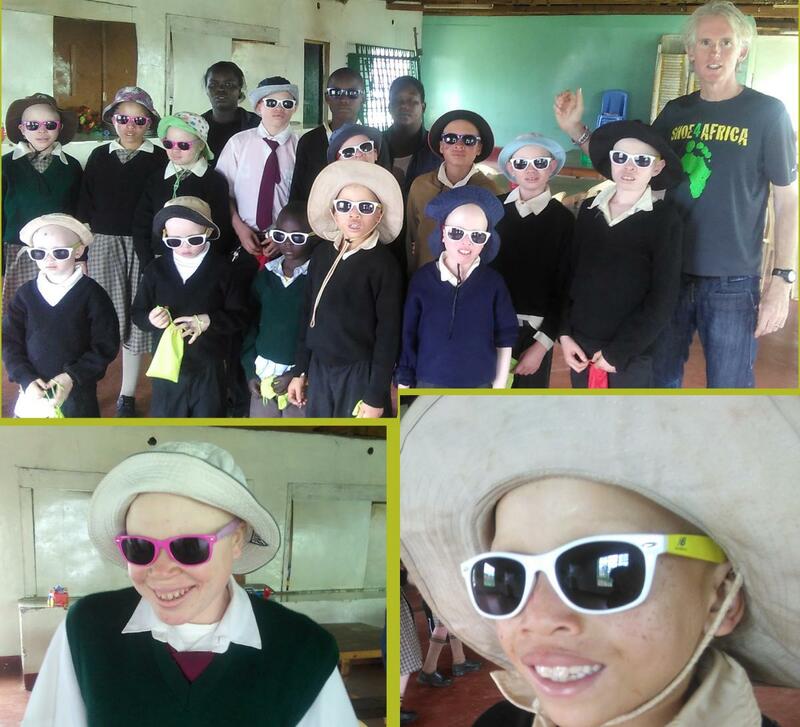 It was Shoe4Africa Albino day as we were able to bring more pairs of quality eyewear to help these kids whose eyes really suffer under the scorching of the too hot Equatorial sun. Ambassador World Champion Moses Kiptanui came along to encourage the kids as we came back to the Albino Eldoret School at Illula. We form a partnership with Running on the Wall – an online running store out West in Arizona trying to reach a broader audience. Alex & Melianna used to run in NYC and the friendship has been long. 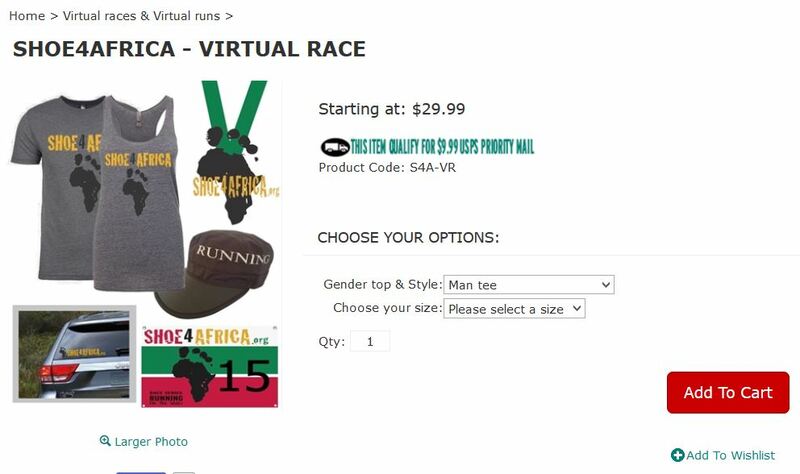 They will host their first virtual race to support Shoe4Africa on Mother’s day. 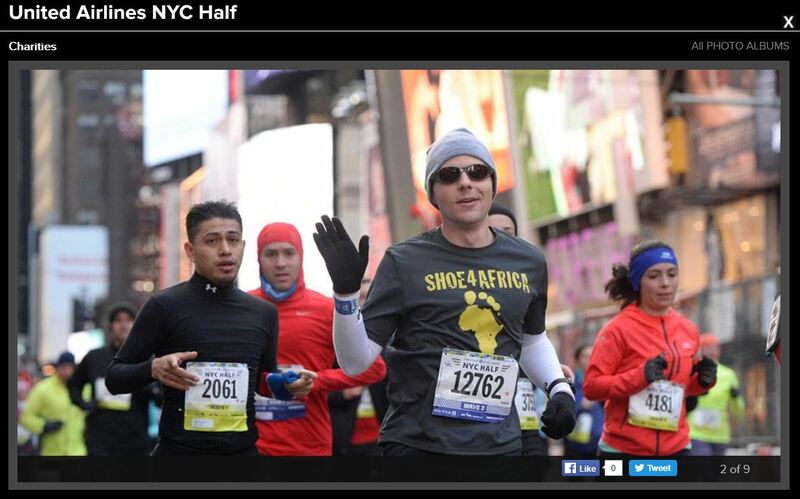 Alex Green, one of 23- Shoe4Africa Runners who raised funds for us running the United NYC half team on March 20th! 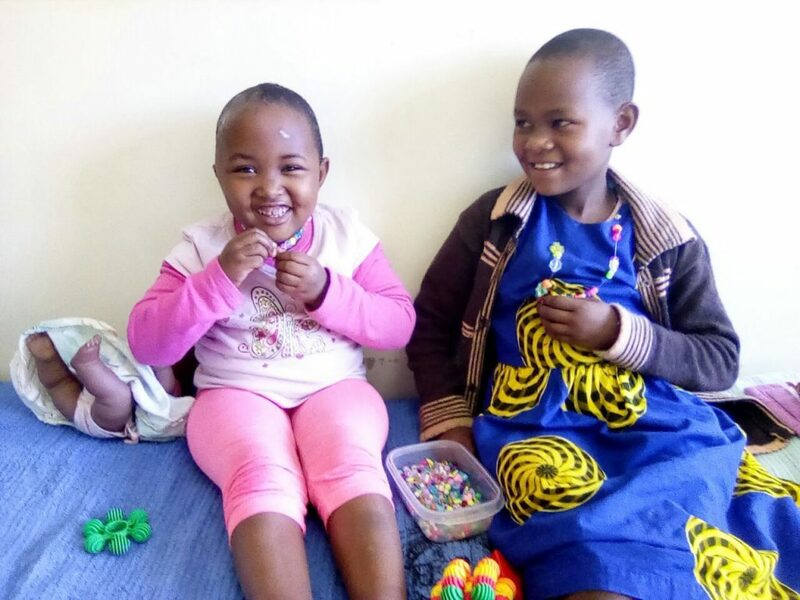 It was a Shoe-healing day at our hospital as Frank, Manuela, Dorien, and Ruben from Belgium brought loads of brand new shoes to gift to our patients. They say Happiness Heals (heels?) and from the looks on the faces of the delighted kids it is true. 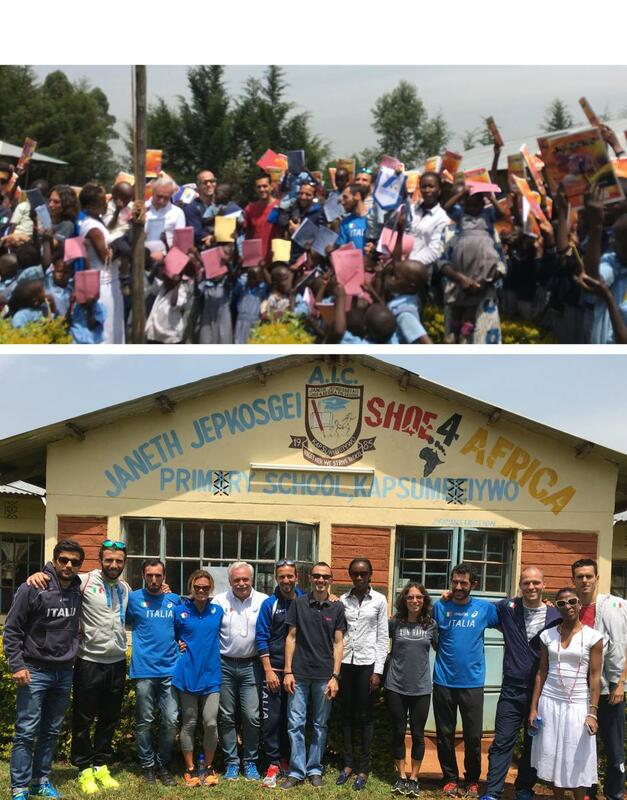 Our Italiano ‘diretore‘ Claudio Berardelli continues to do something to help the kids at the Shoe4Africa Janeth Jepkosgei school. Bringing books and scholarships from him and his team of Italians that come and train in Kenya. A big thank you for your continued support on the ground. Our year kicked off on a high note with ground breaking on January 7th with the Shoe4Africa Eat & Run Kitchens. 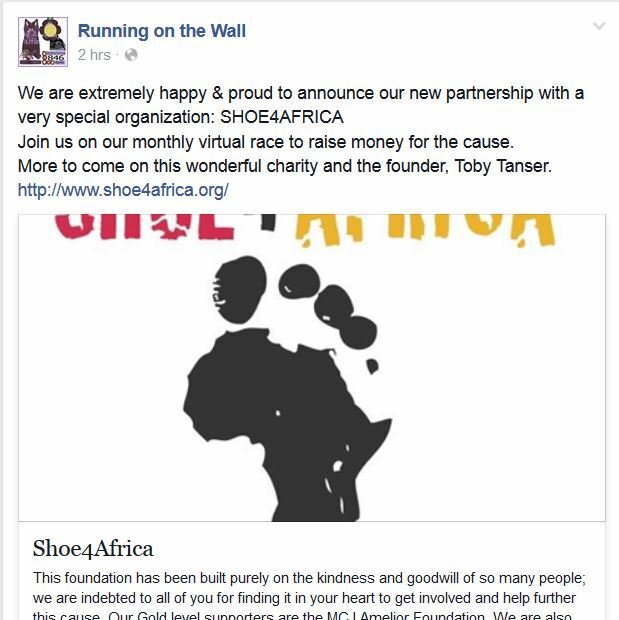 Many thanks for the great fund raising efforts of Shoe4Africa Germany who are making this come to… fruition! 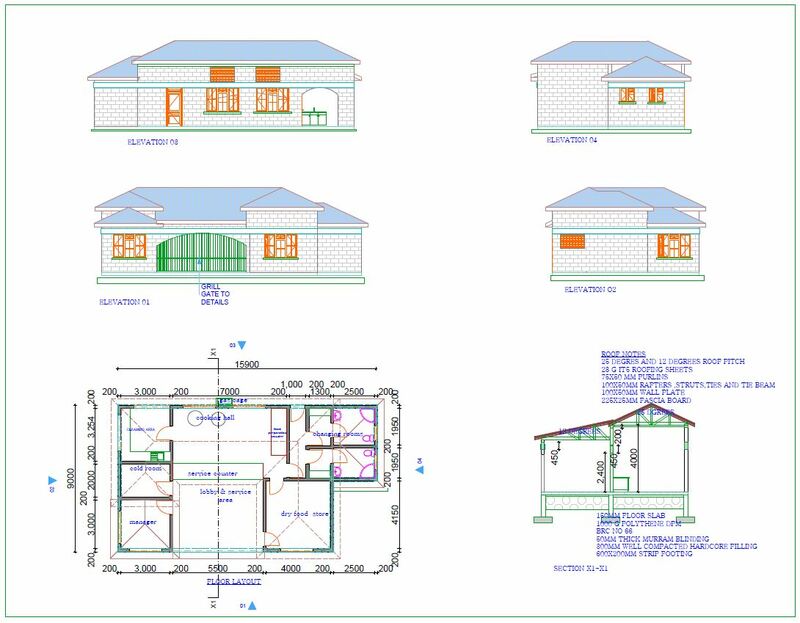 These kitchens will replace the kitchens that we are currently sharing by using the MTRH kitchens. Approximately 30% of our patients are admitted with malnutritional issues according to the acting director Dr. Wilson Aruasa who spoke at the ground breaking ceremony. The kitchens are 20-meters behind the Shoe4Africa Kids hospital.